From the early days, the tragedy of the great fire to complete restoration. Nobody is certain of the exact date, but it is likely that a watermill has stood on the site of the current Stotfold Mill beside the River Ivel for over a thousand years and it is certainly one of the oldest recorded buildings in the town. The first written evidence is the mention of four mills in Stotfold in the Domesday book of 1086. 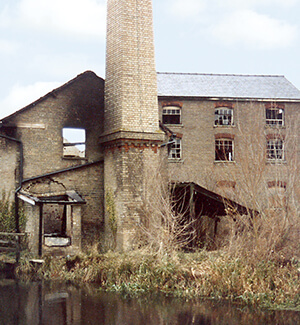 One of those four was the currently-named Stotfold Mill. The combined rents, payable to Hugh de Beauchamp, Baron of Bedford was £4 and four hundred eels. We don’t know much about the history of the first seven hundred years, but the Lords of Brayes Manor kept records of when the ownership of the property changed hands. These records allowed us to trace the Mill’s history through early owners such as Richard Lorymer, James Sander and several families including the Guilberts, Smiths, Waldocks and more recently Vaughans and Randalls. 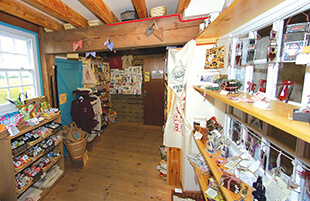 Legal and other documents from the last three hundred years shed more light on the Mill’s colourful history. 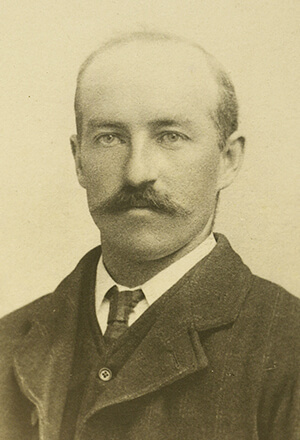 Three millers went bankrupt: James Pestell, David Waldock and Ebenezer Randall and there were two disputes that went to court. 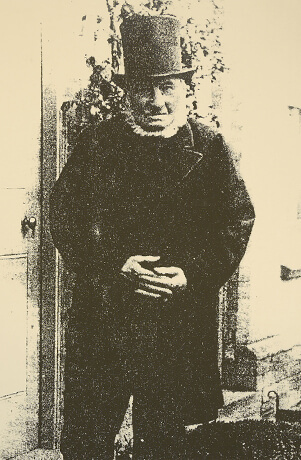 In 1887, Stotfold born John Randall bought the Mill after first renting it from Charles Vaughan. Much of the mill’s development took place under John Randall’s ownership including the installation of a steam engine to increase the efficiency of the milling process. 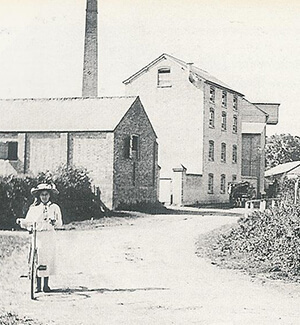 In 1902, Ebenezer Randall, John’s son, built the Roller Mill, next door to the mill, to try to improve productivity. However, it was too little too late and could not compete with the larger mills being built locally. A diesel engine, fitted in 1954, to replace the steam engine, was another attempt to keep the Mill profitable – though by then its Derbyshire gritstones were only grinding grain for animal feed and the Mill ceased working entirely in 1966. In 1897 a new overshot wheel was installed, designed by John Lampit of Hemel Hempstead. 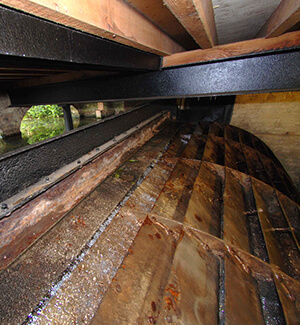 The 14ft wide wheel is the widest corn-mill waterwheel in the UK. In 1898 a cast-iron hursting frame was installed by Whitmore and Binyon of Wickham Market in Suffolk, the Rolls-Royce makers of Mill equipment. Both were fine examples of Victorian engineering and can still be seen in the mill today. There were many attempts to develop the Mill after it ceased production of grain, but all this ended with a catastrophic fire in 1992. Though the Grade II listed building was destroyed, the iron hursting frame and waterwheel survived. 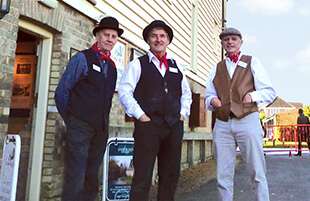 Local volunteers decided the Mill could, and should, be restored. 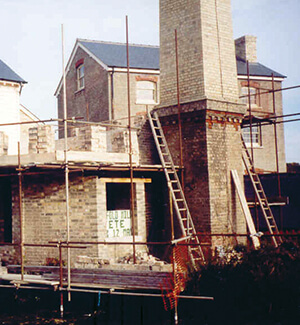 The Stotfold Mill Preservation Trust was set up as a charity to restore the Mill to working condition and transform the adjoining meadows into a nature reserve. In 2006, after many years dedicated work by volunteers and specialists, corn was once again ground in Stotfold Mill. The Nature Reserve was officially opened in June 2011. 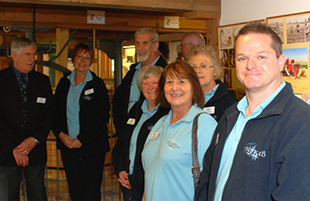 Today the Mill and Nature Reserve have over 165 active volunteers who work in specialist teams, helping to keep the wheels of history turning.